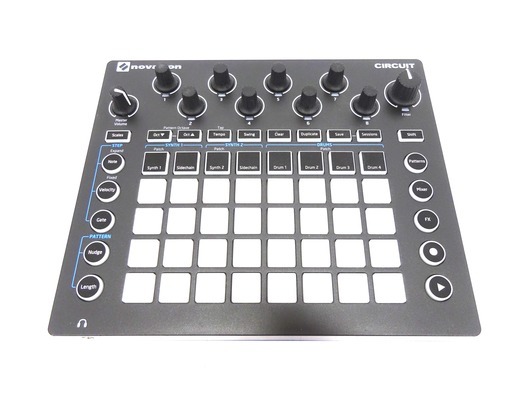 This Novation Circuit Groove Box has been used for demonstration purposes and comes with a 1 year warranty. The item is in great cosmetic condition. It comes with the power supply, USB cable, MIDI to AUX connector and the original packaging. The Novation Circuit has 32 RGB backlit sensitive buttons that will have you finding new musical direction and inspiration in no time. That is because the Novation Circuit has been built to inspire. 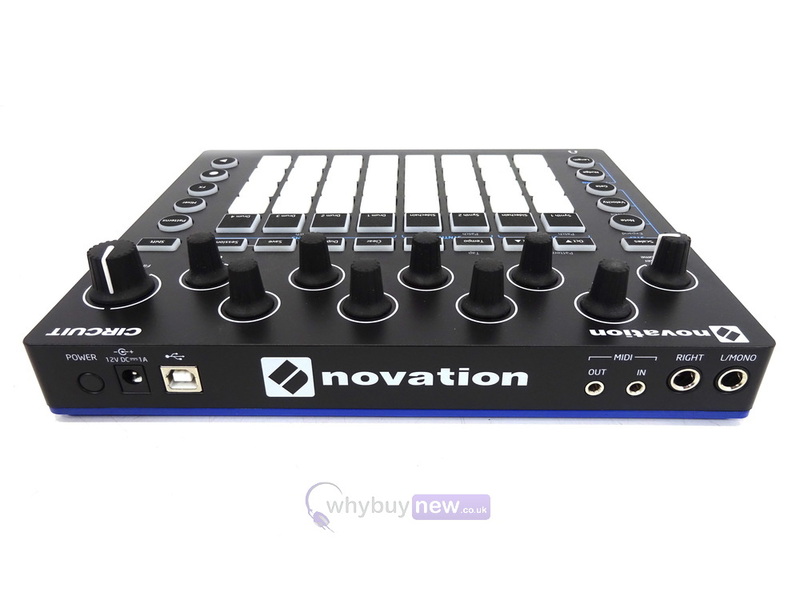 It features two Novation polysynths along with a four part drum machine meaning you can make complete electronic music in minutes. Whatever sound you have imagined you can now create. Compact and battery powered with a powerful built-in speaker, Circuit can be used to make music entirely on its own. In the studio it will work alongside your standalone synth gear and run in sync with your music software too. 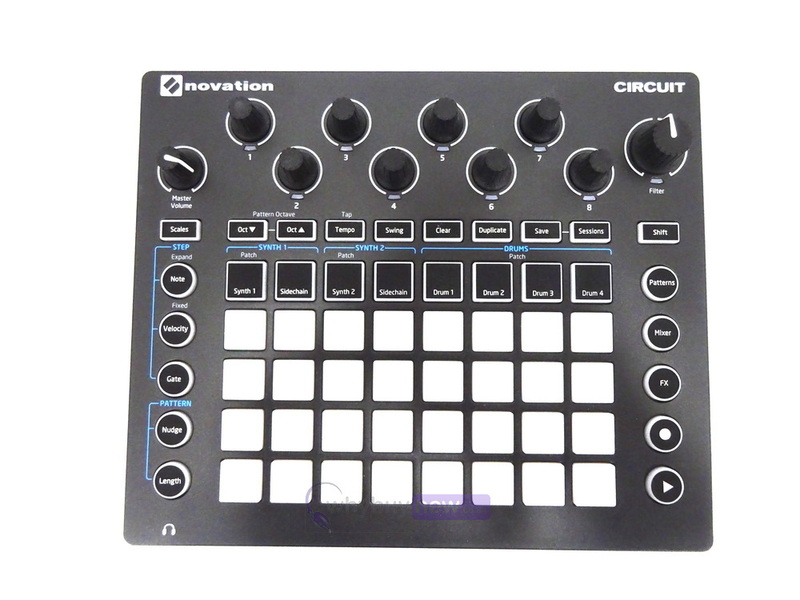 Circuit is all you need to inspire, create and play new tunes. Compact and battery-powered, Circuit truly stands alone. You can create entire tunes from scratch without a laptop, then save them and play them back live. You don't even need speakers, because it has a one built in. 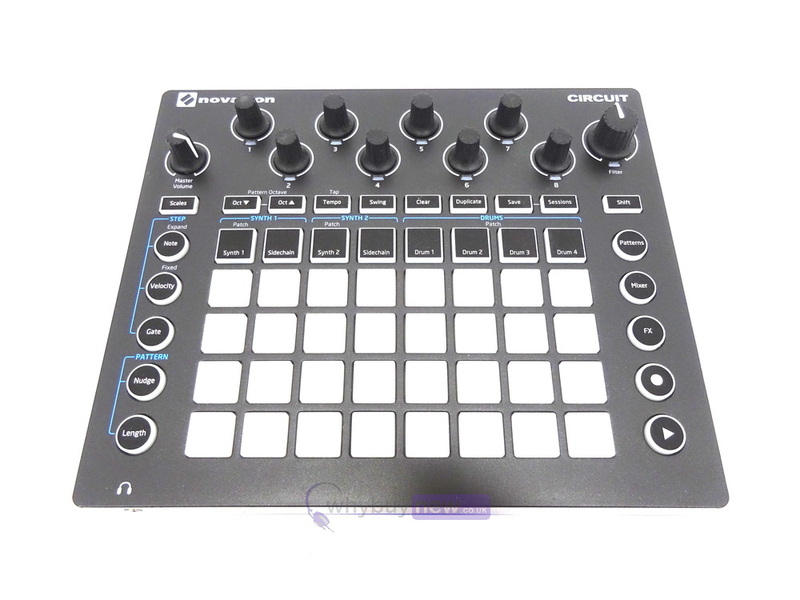 Of course, Circuit will plug in to your sound system and work with your computer and other synth gear too, via its Line Outs, USB and MIDI ports.